12/22 - Motorcycle MVC, LODD – US 13 and School Lane – New Castle, Del. 12/03 - Car Fire – Salisbury Md. 11/29 - Building Fire – Berlin Md. 11/26 - Police Cruiser MVC – Bay Road (DE Route 1) – Magnolia, Del. 11/26 - Vehicle Fire – Messicks Road – Harrington, Del. 11/26 - MVC – duPont Blvd (US 113) – Milford, Del. 11/19 - Accident w/ Ejection & Rescue – Delmar Md. 11/19 - Accident w/ Double Ejection- Laruel Del. 11/19 - Garage Fire w/Extension – Cattail Branch Road – Harrington, Del. 11/17 - Controlled Burn – Berlin Md. 11/16 - Structure Fire – Blades De. 11/16 - Truck Fire – Delmar Md. 11/05 - Accident w/ Rescue – Delmar De. 11/04 - Truck Fire – Delmar De. 11/02 - Combine Fire – Farmington Road – Harrington, Del. 10/26 - Structure Fire – Laurel Del. 10/25 - Skidder Fire – Delmar De. 10/20 - Working Building Fire – Mardela Springs Md. 10/12 - Building Fire – Commerce Street – Smyrna, Del. 10/11 - House Fire – Farmington Road, Harrington, Del. 10/11 - Grain Silo FIre – Shawnee Road – Milford, Del. 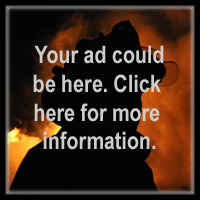 09/26 - Single Vehicle MVC w/Rollover, Ejection, Entrapment – Harrington, Del. 09/09 - Overturned 18 Wheeler – Salisbury Md. 08/31 - MVA w/ Jack Knifed Trailer – Delmar De. 08/28 - Controlled Burn – Parsonsburg Md. 08/15 - Crane Fire – Delmar De. 08/08 - Accident w/ Rollover & Rescue – Hebron Md. 08/08 - Accident w/ Rescue – Delmar De. 08/04 - Accident w/ Rollover – Delmar De. 08/03 - Accident w/ Rollover – Delmar Md. 07/15 - 3 Car MVC with Injuries – Gordy Rd. 06/23 - Chicken House Fire – Salisbury Md. 06/15 - Fatal Accident w/ Rescue – Delmar Md. 06/15 - MVA w/ Rescue – Delmar Del. 06/13 - HazMat Incident – Selbyville Del. 06/13 - MVA w/ Flyout – Millsboro Del. 06/12 - MVA w/ Flyout – Harrington Del. 06/04 - Fatal – Technical Rescue – Delmar Del. 06/02 - Structure Fire – Laurel Del. 06/01 - Building Fire – Dover Del. 05/26 - Drowning – Salisbury Md. 05/22 - MVA w/ Rollover – Farmington Del. 05/14 - Controlled Burn – Powellville Md. 05/13 - Fatal Trailer Fire – Delmar Del. 05/07 - House Fire – Harrington Del. 05/02 - Accident w/ Rescue – Salisbury Md. 05/01 - Accident w/ Rescue – Delmar Del. 04/29 - Controlled Burn of a Feed Mill – Laurel Del. 04/29 - Building Fire – Bonanza, Delmar Del. 04/12 - Controlled Burn – Delmar De. 04/05 - Accident w/ Car into House – Delmar De. 03/26 - High Speed Chase Ends w/ Accident w/ Rescue – Delmar Md. 03/05 - Accident w/ Rescue – Salisbury Md. 03/04 - Accident w/ Injuries – Salisbury Md. 03/03 - Accident w/ Rescue – Fruitland Md. 02/24 - Stucture Fire on Waycross Rd. 02/16 - House Fire – Hebron Md. 01/24 - Accident w/ Injuries & Rescue – Hebron Md. 01/05 - Church Fire – Salisbury Md. 01/04 - Double Fatal Accident w/ Rescue – Parsonsburg Md.